.The idea that loud noises may cause a hard drive to crash may seem a little odd at first, but what is often overlooked is that loud noises often accompany a hard drive crash which makes the situation worse and will need data recovery. In many instances, the noise itself can disrupt the data that is on the disk. For any individual or business owner interested in protecting the data on their computers, storage systems, and mobile devices, it is imperative that you backup the data at another location and have the services of a reputable data recovery company at your call. When it comes to loud noises, there are certain precautions you can take to lower the risk of data loss. Keep in mind that most noises, even loud ones, do not necessarily cause the loss of data. However, it is the vibrations that often accompany certain noises, such as those on the lower level of the spectrum, that causes the writing or reading head of the hard drive to move. Such noises, such as an incident back in 2008 when the sounds emanating from a fire suppression system actually caused data to be lost in a computer room, can be quite disconcerting. There have been other cases, such as in Australia, France, and Romania where fire suppression systems caused noise that reached 130 decibels when inert gasses designed to suppress the fire also damaged hard drive systems because of the vibrations. While much of the data was retrieved, it still took several days of hard work. Very loud noises, such as those that reach 110 decibels and above, may also cause vibrations that cause hard drives to fail needing data recovery. With the spacing between the data tracks inside the drive being so close, it is easy to have them misaligned because of a sudden, loud noise that causes some vibration. This has become a growing issue with modern hard drive disks that were introduced around a decade ago. The first step is to identify potential noise-causing sources that may be near your hard drive systems. Especially fire-suppression systems that emit very loud noises during data recovery when in operation. Once you know where the noise may be coming from, you can take basic steps to ensure that your hard drives are protected. Remember to always back up your data at other, secure locations. That way, even if you lose some data due to noise, it will be properly backed up in another place. 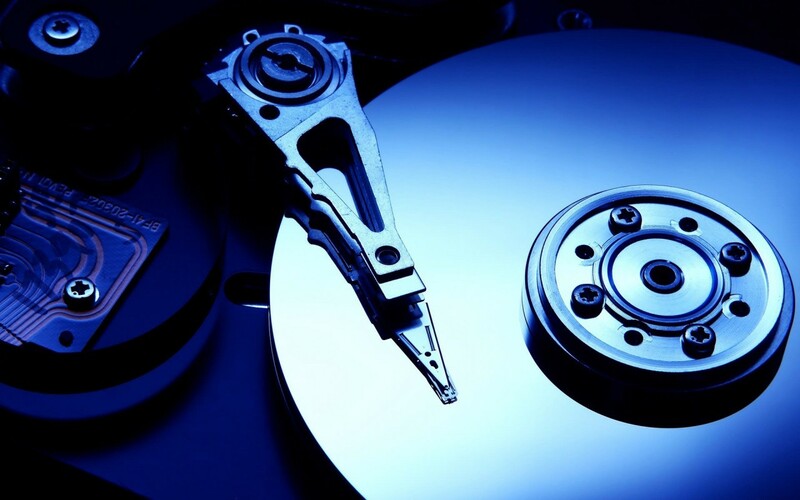 Calling a professional data recovery NYC company will also help in providing the right guidance that will minimize the damage to hard drive systems. While no amount of prevention may eliminate all data loss, it can be minimized so that only extreme situations may threaten the information that you have stored on your systems. How do you know if your SD card is corrupted and you need SD card recovery or possibly damaged? While some SD cards can crash without notice, there are often signs that appear before the card itself shuts down. If you recognize the signs that indicate potential corruption, you can take swift action to remove the data from the card and store it in another location. What follows are nine signs that your SD card may be corrupted and you need SD card recovery, damaged, or otherwise compromised which means that your data is at risk. If you encounter any one of these errors, your SD card may be damaged, corrupted, or compromised. It may be that the error is intermittent which means that you are able to access the card after an initial warning or stoppage. If so, you should take advantage of the opportunity to transfer the data off the card before you lose total access. There are many causes or reasons why your SD card can become corrupted, damaged, or compromised in the performance of its operation. Understanding the causes will help you in preventing potential damage from occurring which keeps your SD card running smoothly. You can help prevent a virus or malware attack by using the latest security software. Otherwise, you can prevent many of the potential damaging incidents from occurring if you limit the use of the SD card to single systems, remove slowly only after transfers are complete, and keeping well within the memory limit of the card itself. Other causes, such as mistakes made when formatting the SD card, dropping the card, or errors in the file system are more difficult to prevent. Even the most careful of individuals will not be able to prevent all damage that might occur. However, by treating the SD card carefully, you can limit the number of opportunities that the card may become damaged and need SD card Recovery. The best way to prevent a compromise of your SD card keeping you from the data that is stored is to back up the files on a regular basis. The more often you can back up the information, especially after new files have been added, the less damage will incur if you lose access to your SD card. Whether you accidentally deleted the photos you just took or your toddler when on their own photographic adventure starting with deleting your work, recovering the deleted photo recovery entries may not be as difficult as you might think. This is especially true if you have not taken additional photos or put anything else on the SD card. This is because the delete command you pressed only marks the space on the memory card for it to be used, it does not actually overwrite the space itself until you add new photos. This means that a simple file recovery utility or program will bring back your photos. If you have a reformatted memory card, you can use a standard format command to get back your deleted photos. You do not want to use a low-level format because it will render the deleted files as not recoverable. Before you take any action to recover the lost photos, first look at the SD card and the system that may be in place for you to reverse an accidental deletion. You might be surprised to find that your camera or SC card may have a system in place that allows you to recover the information in case it is accidentally deleted. So, the first step is to go over the system that you have by reading the manual or checking with their website to see if something is in place. You may be surprised to find that there is, allowing you to recover the information. However, you also may find that there isn’t and you’ll need to take the next step. Each program is easy to use and provides a step-by-step process that lets you recover your deleted photo recovery in just a few minutes. Pandora recovers photo and video files with ease and provides a portable version for your mobile phone, although you will have to purchase it. Other recovery applications include PhotoRec 6.11.3 and Exif Untrasher, which also work to recover photos that have been accidentally deleted. Both versions are relatively simple to use and provide you with the ability to quickly recover photos from deleted photo recover. If the reason why you have lost photos has something to do with the drive itself, such as the drive crashing or becoming damaged, then you will need professional assistance to get your photos back. This is because standard recovery programs are not designed to pull data from damaged systems. While you might take the chance, it is better to trust a professional team to do the work. My life outside of work is my band RKCB, which I formed with a few friends about eight years ago. We have practiced non-stop it seems, playing gigs when and where we can. We also recorded several original songs that we were going to put on a demo tape to send out to different record companies when out of nowhere my computer crashed and needing music recovery. It could not have picked a more inopportune time to blow up, just as we were ready to send out demos. What was worse was that I had failed to make backup copies of our finished songs which meant that if the tracks could not be recovered, we were facing a lot of work just to get them ready again. To say that I was not in a good mood was not only an understatement, but my friends may have been even more apoplectic because of the situation. Out of desperation, I looked at several nearby recovery companies for music recovery and Data Recovery 47 stood out. I remembered that my cousin had used their services over a year ago to get back some files from a crashed computer, so I went ahead and took my computer to them the next day. The warm greeting and friendly talk was nice, but I’ll admit that my mind was focused on getting back the tracks. They promised to work on it right away and I went back to work hoping for the best. Wow, was I surprised by how fast I was called by Data Recovery 47. For some reason, my expectations were that it would take days just to get to my computer when they called the following afternoon. All my tracks and files from the computer had been recovered, stored, and backed up. I could not be more relieved when I heard the news and I quickly went to their shop to get my files. I was greeted with a friendly face which was only surpassed by mine as I had the tracks needed to create the demos. In addition, the fee that I was charged was lower than I had expected as well. I had heard stories about other recovery shops and their hidden or surprise charges, but there was none of that with Data Recovery 47. I was told upfront what the services would require and charged according to the work that they had performed. I know I saved money going with them and benefitted from the expertise of those working at the company. Since then, we have sent off the demos to the record companies that have shown interest in our band and we can only hope for the best right now. I learned a few lessons from this experience of music recovery, starting with always backing up my tracks and completed music on other sources just in case this happens again. However, the best news was knowing that I can trust Data Recovery 47 to get back my files if my computer should crash again. They may not be able to get back everything, but if anyone can recover lost tracks, files, data, and images, it’s Data Recovery 47. There are many ways that the data or information can be lost from your computer, laptop, external drive, mobile device, and other storage areas and needing data recovery nyc. It always pays to backup your data on a separate source, such as a cloud storage system, but also to have data recovery software available along with the phone number of the nearest, reliable data recovery company. Here are the five most common means of losing data from your computer, drive, or device and needing data recovery nyc. Some you may be able to prevent and some you cannot, but at least you can identify the source. This is a common occurrence as even the best software can corrupt over time and it shuts down the computer or device. Since it can strike at any time, it is best to frequently save your documents so if it does occur, your work will be saved. Be sure to use any diagnostic utilities with care as they might cause the corruption to occur. You can help avoid some of these issues by backing up your data on a cloud system that is located outside the building you are in. Plus, you should also consider installing a UPS and using another storage device on-site to ensure that your valuable data is protected. External storage systems can save you considerable time and effort in restoring your data if you should lose your computer, laptop, mobile device, or storage system. Despite the news reports about these causes, they are not as common as you might think. Still, there are viruses that contain spyware which can steal your credit card information and slow down your computer. The best way to combat this is to only visit trusted sites when on the web and to invest in the latest antivirus software. Either accidentally clicking “Delete” or the “Format” button is one of the more common reasons why data is lost needing data recovery nyc. Another is causing physical damage to the storage devices by dropping them or through accidents. The more you keep your computer and storage devices away from others, the less likely accidents are to occur. Plus, always take care before making decisions to format or delete information. Arguably the most common cause of losing data, having your hard drive fail or a malfunction in the operating system means you cannot access the files, images, and information from the disk or storage unit. Maintaining a clean environment which reduces the chances of dust or dirt from fouling up the internal systems helps along with a backup power supply to avoid issues with power outages. How to Avoid Losing Your Data, Hard Drive Recovery. For individuals and businesses, losing data means delays, setbacks, and in some occasions facing a major crisis as critical information is no longer available. While many data recovery centers can get back the information that is lost, it is far better to avoid losing it in the first place. What follows are some simple ways to keep your data and avoid most situations where it can be lost due to a computer crash or other event. The easiest and most effective means of never losing your data is backing it up at regular times in places that are outside your main computer system. Keep in mind that cloud systems may become compromised if the server or servers crash, so have another location where your data can be safely stored and backed up regularly so that any loss is minimized. In addition, making backing up data during the day and before you leave work into a habit means that at worst, the data loss is minimal so that your systems can be restored quickly. Even if your computers need to be replaced, the data is still present and updated so you hardly miss a beat. By using a UPS on all computers, you can prevent power surges which are one of the main reasons computers crash. Adding a UPS means that any power surge that flows through the electrical lines is cut off before it reaches your computer. You will have to restart your computer as a result, but that inconvenience far outweighs having your computer crash. The location of your computers and servers plays a strong role in whether they are susceptible to crashing. This means protecting your systems from static electricity that might damage or even erase data needing hard drive recovery. 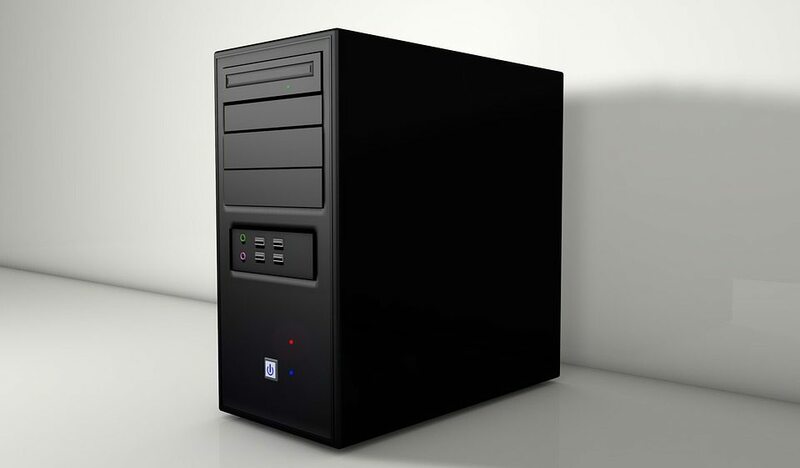 Keeping your computers in a cool, dry place so that condensation does not become a factor, and having a back-up generator or even battery power so that computers can be shut down properly in case of a power outage will help prevent crashing and loss of data. Use the latest anti-viral software so that your systems are protected from most outside intrusions. Computer viruses can wreck your data needing hard drive recovery and make it difficult to retrieve, so protecting your computers and servers is paramount in preventing data loss. While some crashes come out of the blue, many others have warning signs that the hard drive is about to crash. You can invest in software programs that detect issues with the hard drive and allows you time to prevent the problem before it can crash your computer. Keep in mind that even if you employ every precaution, there is still the chance that you will not be able to get back your data. This is where a professional data recovery company can help in opening the system and retrieving the information that otherwise would be lost. So, keep the phone number and location of a reputable data recovery company just in case the worst should occur. There are many data recovery companies that serve the individuals and businesses in your area, but finding the one that is best for your needs means that they offer the right services for a low, affordable price, have excellent customer service, and have built a reputation in the community where people trust them to do the work. Finding the right data recovery company takes more than just looking over a few websites or relying on a recommendation or two from friends, family, and co-workers. You need to find the company that is best suited to your needs. Here are a few tips that can help you in your search. In the world of data recovery, poor service and expensive prices will not keep them in business for very long. You want to search for a company that has a substantial record of success that dates back at least a few years. In addition, you’ll want to see if their track record includes both businesses and individuals which means that they have the capabilities of serving the needs of both. Independent customer reviews and associations with respected organizations such as the Better Business Bureau (BBB) are also important as they provide insight into the quality of work that is performed. Basically, this means that their data recovery efforts are performed at their location. They do not send it out to larger companies to do the work. This means that they are staffed with highly trained technicians, have the equipment necessary to do the work, and can control the schedule so that if you need the information quickly it can be done. 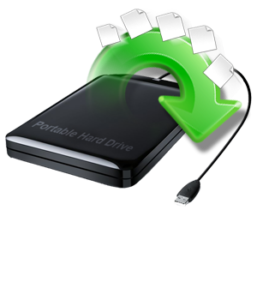 So, on-site recovery and repair is a paramount consideration for proper data recovery. Replacing the parts for hard drives can be expensive depending on the damage that was done. This means that you are looking for a company that has an upfront pricing structure that accounts for the labor and parts so you know what is needed before you pay. While software only recoveries are may be relatively inexpensive, a more serious issue that involves repairing the hard drive is another matter. So, look for the right pricing structure that avoids surprise or hidden fees in the services they provide. This will help you make the right decision about which company to choose. Data Recovery 47 checks all the boxes when it comes to being a complete, professional, and affordable recovery service for your needs. They offer the best in services that starts with the highly trained technicians who are skilled in different recovery methods that get your data back intact. The price structure is also upfront and quite affordable so that you know what to expect from the services provided. 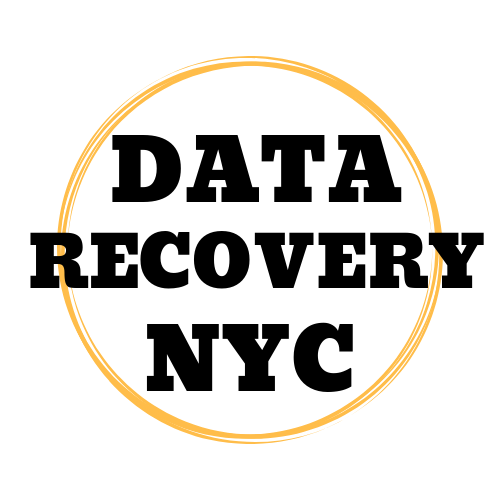 If you live in the NYC area and are looking for the best in data recovery, go no further than Data Recover 47 . They have built their reputation on customer satisfaction and seek to improve upon that with every new customer they serve. Which Storage Is Right For You? It was not long ago when the choice of what storage tech was right for your needs meant purchasing the one that had the most capacity. However, with the development of different types of hybrid and solid-state drives, you will need to know a little more about which may work best for you. What follows is a list of common storage drives, their advantages and potential drawbacks that will help you decide the one that is well suited for your needs. Like hard drives on some levels, the biggest difference is that they use NAND flash memory and not magnetic platters or heads. With no moving parts, solid state drives perform at a higher rate of speed and access data far more quickly. In fact, they operate at more than double the speed of hard disks. Because they are solid-state, they are far more durable and resilient to damage which means that drops, bumps, and scrapes have little effect. However, they are far more expensive compared to hard drives and do not have the capacity of their counterparts either. Unlike hard drives that give off warnings of imminent failure, solid state drives tend to go without any warning. Also, the fuller the drive gets, the more it slows down, but that is a relatively minor issue. Or, hard-disk drives, these are the most common type of storage system for PCs. Although the technology has evolved considerably over the decades, the basic principles of storage remain the same. Much like an old-fashioned record, the disk rotates on a magnetic surface with heads that both record and retrieve the data. Hard drives offer plenty of room, are simple in their construction and are inexpensive. However, because they have moving parts, they are not as reliable or perform as well as drives which are solid-state or hybrids. While their reading and writing speed are good, they are nowhere near what solid state drives can do. So, if you need a lot of storage for a little money and do not care much for speed, then hard drives are for you. This is a combination of solid state and hard disk drives that carry all the advantages and disadvantages of each. Because their inherent strengths complement each other, each system works well together. 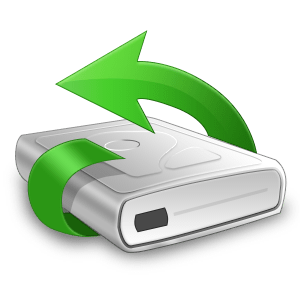 The data that is used the most often is stored on the solid-state drives while the hard drive keeps older files intact. The overall price is slightly higher than hard drives, but the performance is boosted as well. Of course, they carry all the disadvantages of both drives as well. This means that impacts will affect the hard drive portion and the storage capacity of the solid state is still limited. However, you can custom design hybrid systems to carry what you need so that it can be stored and accessed more readily. It can get a little pricey unless you know exactly what you want and are willing to live with the consequences, so be sure to look over the advantage of each type of storage drive and match them to your needs. The future of storage systems for data and cloud storage, at least for the next few years, will come down to either flash or hard drive systems. Each has its advantages, although flash systems are more popular and less expensive even if they are not as reliable in the long term. Which type of storage you choose will depend considerably on your needs. Since flash systems are still the most popular, much of the innovation that is taking place is with this type of storage system. The use of 3D NAND technology has allowed flash drives to expand their storage considerably and it will continue to do so for the foreseeable future. Another innovation is the Triple-Level Cell (TLC) which allows the storage cells to hold a range of voltages which increases the amount of information that can be stored. The layering of cells essentially doubles the capacity all in the same space for greater efficiency and a reduction of issues such as the read costs. While the physics associated with TLC are considerable, the potential is amazing in terms of just how much can be stored on a flash drive. Errors are being reduced using Low Density Parity Check (LDPC) which means the encoded data is cleaner, more accurate, and easier to read all with fewer errors. Although LDPC was invented in the 1960s, the technology is finding new light thanks to innovation which has led to engineering challenges that have been overcome. Considering that amount of storage that is now available, the cost has been reduced considerably to help make this form of storage even more appealing. You can now purchase hard disks that have 6TB storage and above for a reasonable cost. Of course, the question becomes do you need 6TBs of storage for what you do. Using Shingled Magnetic Recording (SMR) which allows the tracks to lap over each other without interference, more data can be stored in less physical space. If successful, it will lead to the Two-Dimensional Magnetic Recording (DMR) process that eliminates the noise from tracks next to each other for better recording. Another technique being developed is the Heat-Assisted Magnetic Recording (HAMR) in which the tracks themselves are heated up before data recording so that more information can be stored. In addition, helium is being used to increase the overall capacity of the drives because it allows them to be placed closer together. Currently, there are no major storage systems apart from flash or hard disk that are being seriously developed in the foreseeable future. Naturally, it is safe to assume that some other type of storage system will be developed that overcomes the inherent limitations found in flash or hard disk so that even more information can be stored and retrieved. The advantages of both systems are found in their reliability and decades of development which have managed to make the most out of technological advances but the best bet is in cloud storage. This means that if you are planning to store a considerable amount of data, you will need to examine both flash and hard disk so that you fully understand their limitations and potential. There is far more to data recovery than simply trying to reboot the computer and get the information out of it before it crashes for good. Companies that store valuable information on their computers are especially vulnerable to crashes which may cost them weeks, months, or even years in terms of the getting back the information that was lost. There are some things that you will need to know about data recovery so that you can be prepared in case the worst should occur. Purchase Your Storage Array and Replication Software Together: While this may sound counterintuitive, it is usually cheaper to buy a good storage array and pay for replication software as part of a package as opposed to purchasing replication software and using your old storage system. You need to buy both at the same time so you get all the latest features and have it secured with a warranty. Keep in mind that you get what you pay for, so be sure it is a reliable service. Choose a Reliable Carrier: Getting the right network carrier is very important because your WAN circuits should always be on and functioning. Otherwise, you will not be storing or retrieving your data. The carrier you choose should offer real-time monitoring, troubleshooting, redundant circuits to re-route traffic, and agreements that guarantee availability. File or Block Storage: Files use the network connections that already exist so that recovery is easy and cheap to do, although your bandwidth will get eaten up quickly. Block storage uses a separate fiber channel which basically section off your network so that storage does not affect your infrastructure. It can be expensive to go this route, but you will not slow down your network at all if you choose block storage. You’ll want to consider whether your BC/DR storage IOPS should be as fast as the production environment, which is costlier compared to a slower version. In some cases, slower is better because your needs do not require that type of speed. However, it may be that you want your recovery to be fast, so in that case getting better, faster recovery is required for the continuity of your business. In the end, the type of storage and data recovery system you choose will dictate just how fast you can come back if your computers should crash. For businesses, especially those that keep customer information or have data that must be used every day, getting the right storage and data recovery system is a must for the protection of your company so you can stay in business.